What makes a church? People do. But not just people. People honoring a great God. The one true God. Helping people. Aiding those who are hurting. The down and out. Because, we’ve all been there. And a church isn’t a building either. It isn’t lights, sound, equipment, or signage. But… What if… Everybody’s Welcome? If Jesus is the hope of the world, than the message shouldn’t be confined to a certain group of people. What if… Nobody’s Perfect? If we’re all in a state of separation from God since the first sin of Adam & Eve, then we all are messed up and in need or redemption. 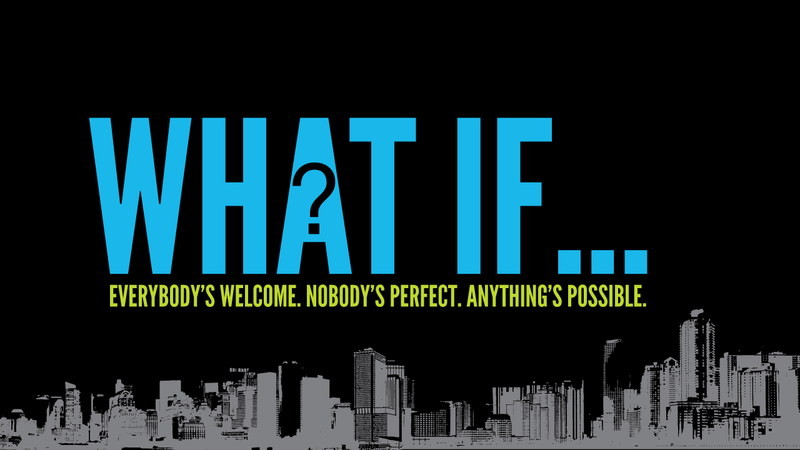 What if… Anything’s Possible? If that’s true, God has a bigger plan for Forefront Church than just a few hours on Sunday’s at a rented High School. It’s going to be miraculous. Week 1: What If Everybody’s Welcome? Week 2: What If Nobody’s Perfect? Week 3: What If Anything’s Possible? Week 4: What If We Haven’t Arrived?